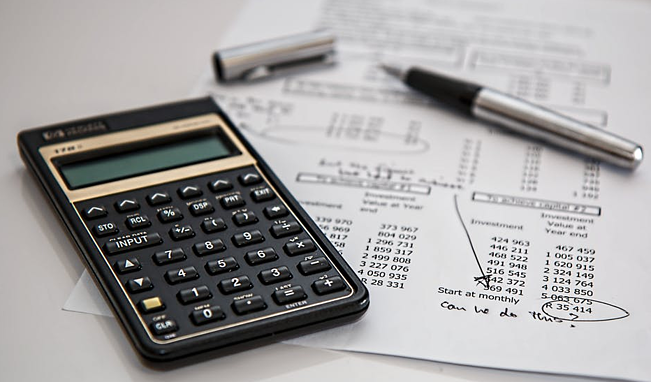 Budgeting can be overwhelming and hard, but don't stress. Here's a super simple way to help you save money. It's something you can use every day and it totally customizes to your needs. Saving up for something big? Like maybe living in China for a semester or volunteering with one of ILP's humanitarian programs? If so you may need to make some changes in your daily spending habits to reach those goals. Looking for more ways to save money? Here's how you can pay less for a trip abroad! 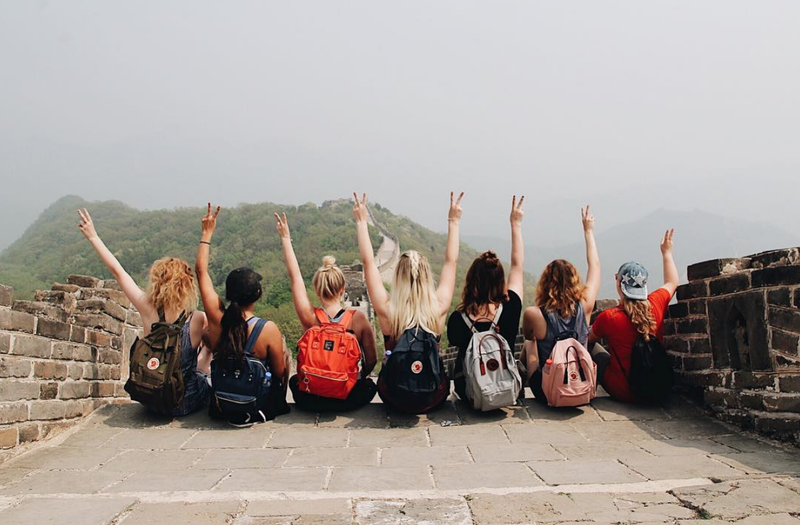 A semester volunteering abroad is right at your fingertips! The Step Down Approach is a way for you to still have your needs and wants met while budgeting. It allows you flexibility and helps you save money on little things every day. Have a little spending habit that you do often? For me it's going to my favorite soda shop to get my caffeine fix - I would seriously go every day. Instead of cutting that out cold turkey The Step Down Approach let's me still get my favorite drink, just not as often. Because lets be honest, if I decided to go cold turkey I don't have enough self control to do it for more than a few days without it. First, let's break it down. On average my drink costs $2.80 each time I go. If I do that 5 days a week for a month that ends up being $56.00 a month just on soda (that's a plane ticket to Italy when you are volunteering abroad). That may not seem like a lot, but by cutting that back it can save some serious money over time. Imagine it like a staircase. At the top of the staircase is what you are spending money on, every step down the staircase you make is bettering the situation and cutting your spending habit back a little bit. This method is all about baby steps. 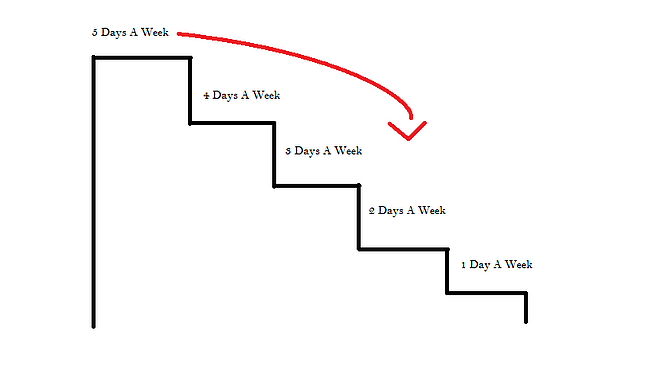 So for me and my soda drinking: at the top of the staircase it may say "5 Times A Week" and at the bottom it may say "1 Time A Week", this is when you get to decide what you want your new habits, goals and savings to become. I've decided I want to cut back to 2 times a week so this is a visual of what that would look like for me. Now instead of spending $56.00 a month on soda I'm spending about $22.00 a month. Total savings: $34.00 a month or over $400 a year! That's a good amount of money just by changing something so small. So, How Do I Apply It? Now this is up to you. Think about a few areas that stick out if your head. Usually the things that come up first are the areas you already know you're splurging a bit too much on. Maybe you get a manicure every week and could cut it back to every other week, just once a month or even DIY it at home. Like to eat out every day for lunch? Cut it back and only go out once or twice a week. Find yourself buying more things are the grocery store? Make a list, stick to it, and try shopping every other week instead of every week. You can have a few different staircases you are working on. These little things really do make a difference, but you still get the best of both worlds and get what you want. Just remember even one or two steps down the staircase can help you reach your goals quicker. How Do I Stick To It? Make your own staircase and put it somewhere you can see every day. Maybe have a calendar in your phone or on your wall where you mark off the days that you did purchase that soda so that on Saturday when you want it you can say to yourself, "Okay I already had it on Tuesday and Friday so I won't have it today... but I can get a soda on Monday if I want it still." Keep track of your goals and when you are having a hard time sticking to think about why you are doing it. Skipping a few sodas is totally worth be being able to travel more while I spend a semester volunteering in Europe with ILP. Keep that end goal in mind to help keep you motivated. 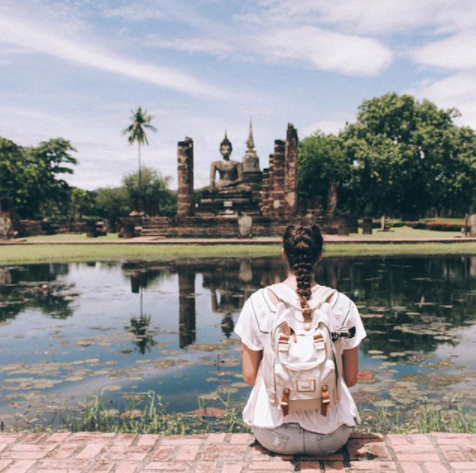 Ready to start you own adventure abroad? There's so much to see out there and so many ways you can serve. Click the button below to learn more about ILP and how you can spend your time abroad.